Linux Shared Web Hosting is one of the most common types of hosting people are looking for on the web. Corpy will bring you world class quality Linux shared web hosting services all around the world. 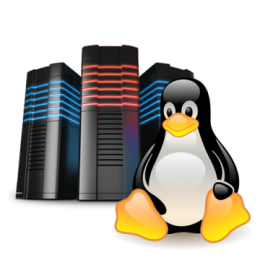 We strive to provide top quality linux hosting with a rare combination of unmatched reliability and affordability that most shared hosting companies don’t provide. PERFECT WEB HOSTING PLAN FOR YOU! web hosting packages provide the necessary processing power and memory capacity for your WordPress websites. The 1&1 Linux servers support the PHP and MySQL technical standards required to run WordPress. … If your project grows and you need more web space, you can easily order it. There’s one thing you probably care about the most when it comes to hosting. Reliability. Our 24/7/365 support expert staff keeps your server running at its peak. We use industry best practices, the best data centers and ensure your server has the latest security patches. That’s why we guarantee that your site will be up over 99.9% of the time. With all of Corpy’s plans you have the ability to host as many domains as you wish in your cPanel account. This means you have the luxury of managing all of your websites from the one place and all on the same server! Generally, there are four different types of web hosting: Shared, Virtual Private Server (VPS), Dedicated, and Cloud Hosting. While all types of hosting servers will act as a storage center for your website, they differ in the amount of storage capacity, control, technical knowledge requirement, server speed, and reliability. With every website we build, we offer CMS “Content management system” AKA web control panel, where the client can manage all the website contents from pages, menus, galleries, videos, forms, …etc. effortlessly via few simple clicks! Your domain name is a key part of your online address, it is a string of characters that give your website an identity and is what your visitors will use to find you easily. For example, Microsoft.’s domain name is www.microsoft.com. Your domain name is unique to you; once you have registered it, nobody else can register the same one for as long as you continue to renew it. To have your own domain, you will need to register your domain with a domain registrar like us. Once having your hosting plan ready, you can start immediately using your corporate emails like name@your-company-name.com , If you ordered web designing service from us, CORPY will then send you a link with many designs to give you a better idea on how the website will look like, and then you choose the most suitable template that matches your taste and identity, then we will go ahead executing these tasks within the agreed upon time frame. WHAT IS THE DIFFERENCE BETWEEN BANDWIDTH AND DATA TRANSFER? If Addon Domain and/or Parked Domain service(s) are/is enabled.